Poker is rolling along in Vietnam with two live events soon to sizzle the tables. The first one comes up next week with the National Poker Championships holding their starting days at various destinations in the country. Then months later, the Asian Poker Tour returns packed with a 12-day schedule. Have a read on those including the short blip on Hendon Mob and their ten-digit Vietnam dilemma. Win Poker is back with the next installment of their biggest live event, the National Poker Champions III 2018. With the guaranteed prize pool at a whopping 2.5 billion Vietnamese Dong (VND), and first prize guaranteed a minimum of VND 600 million, expect players from all walks of life making their way to the felt. Each Qualifying Day will play down to 15% of the field and will merge for Day 2 on March 3 at the final destination, Win Poker Da Nang. All Day 2 qualifiers are in the money, earning a minimum of VND 12 million. The Final Day is on March 4 with the last ten players racing for the top prize. 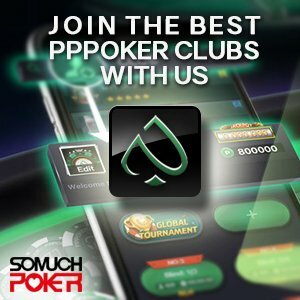 This summer, the Asian Poker Tour will be returning to Ho Chi Minh City for a second event at the Pro Poker Club. Their first appearance back in January was a big success, becoming the first international tour to host an event In the bustling city. Upping the stakes, on July 11 – 22, they bring with them the APT Vietnam Championships 2018, a twelve-day festival featuring a 22 Million buy-in Main Event and a 33 Million buy-in Championships Event. These events will run back-to-back. Also on the schedule are 10 side events which includes a 43 Million buy-in High Rollers event. With the first event seeing guaranteed prize pools, players will likely be on the lookout for any announcement on that front however at this time, no guarantees have yet been announced. Hendon Mob ran into a slight problem entering the results of the APT Kickoff Vietnam Main Event. The champion, Adrian Esslen, won VND 1,313,920,000 however that exact number could not be plugged into his winnings. It seems Hendon Mob has a cap of 1 billion. Oops! With more events taking place in Vietnam, it looks like Hendon Mob will be needing to fix the teeny glitch to accommodate these huge ten-digit winnings.